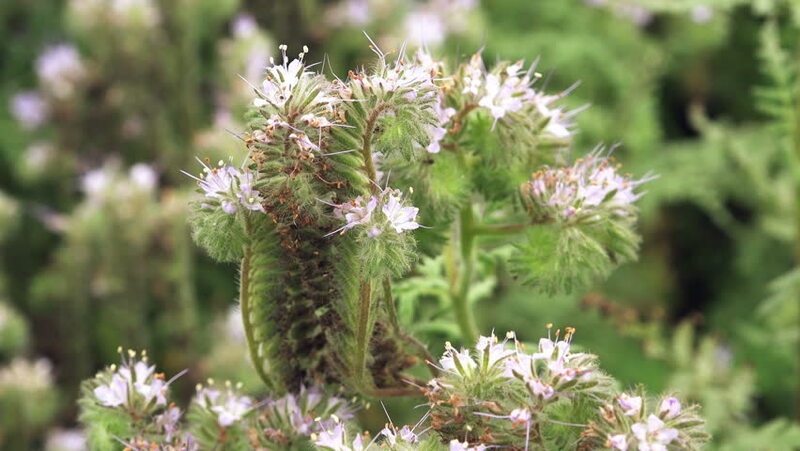 Phacelia tanacetifolia is an annual herb also known as lacy phacelia, blue tansy or purple tansy. Selective focus with very shallow depth of field. 4k00:16Weevils on the grass with flowers in purple, while the wind blows back and forth.